The farm “Il Drago e la Fornace” decided to create a unique collection for his Chianti wines labels: This series changes according to the wine types – Chianti DOCG, Chianti Classico, Chianti Riserva and Vinsanto del Chianti – and the labels are enriched with some precious details. The “liquid” drops represent the wine, nectar of gods. The logo changes his position in the different labels. Natural paper. 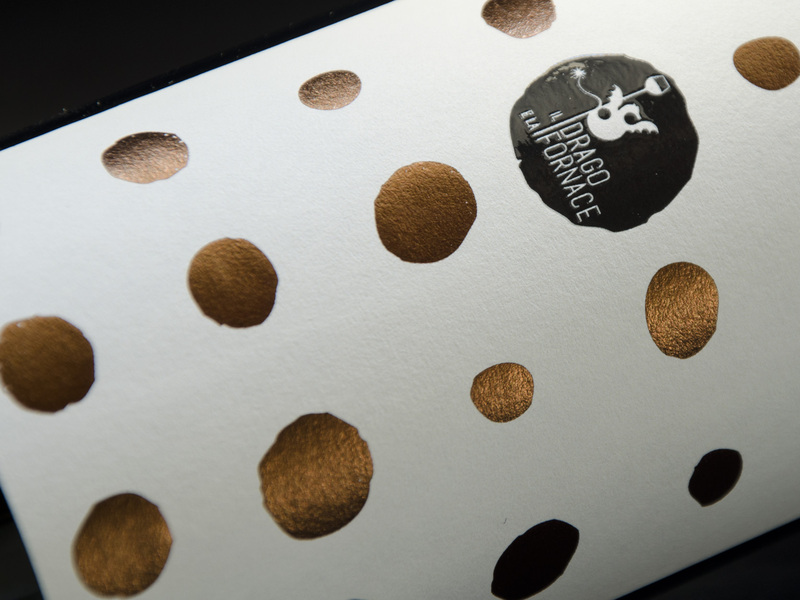 Chianti Classico: shiny glossy braille on the logo and on the black drops, hot foil bronze on the remaining drops. 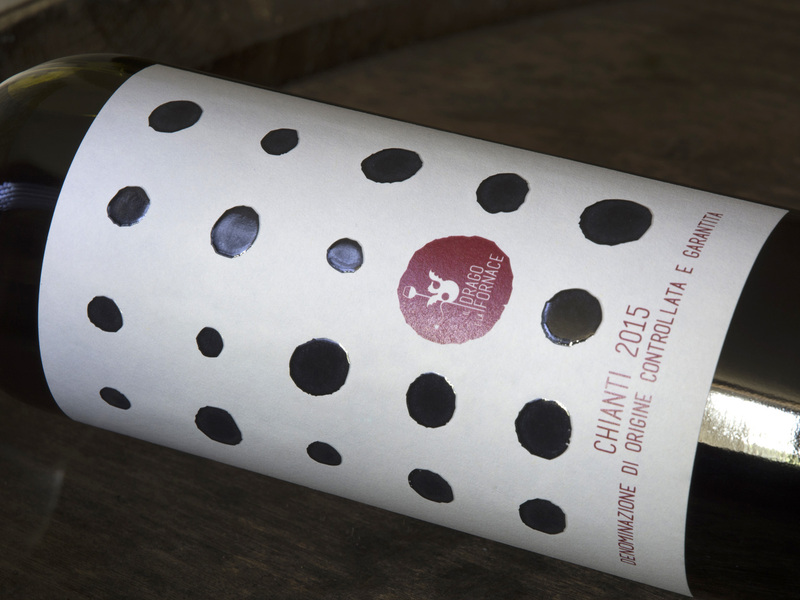 Chianti DOCG: shiny glossy braille on the black drops. 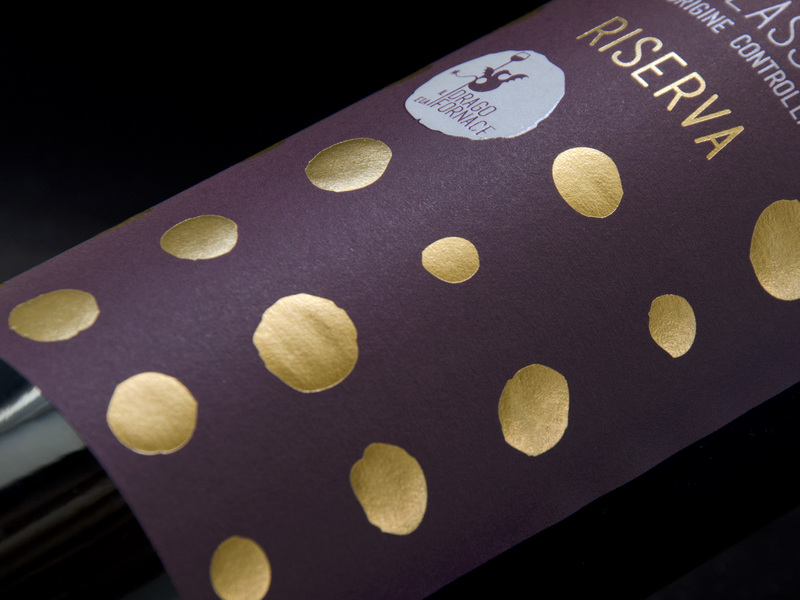 Chianti Riserva: shiny glossy braille on the logo and hot foil bronze on the drops.